The City of Doral in partnership with The Rhythm Foundation will present Grammy winning latin rock band, La Santa Cecilia, along with South Florida’s own Elastic Bondand Mr. Pauer at the highly anticipated third annual Ritmo Doral, a multinational concert and cultural event that will take place on Saturday, March 23, 2019 in Downtown Doral Park. The free, family-friendly festival, promoting the community’s cultural, diplomatic, business and tourism ties, will feature food and drink vendors, samplings and activities for kids, as well as arts offerings and cultural activations from Doral’s Sister Cities and the local community. 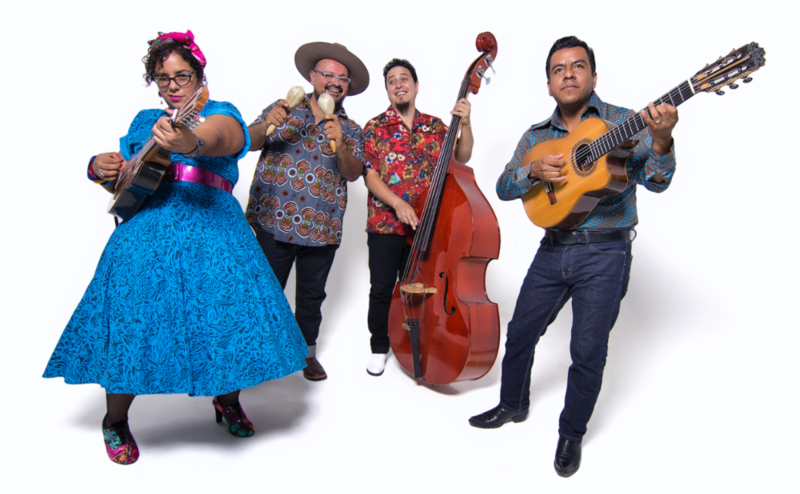 Los Angeles-based Grammy®-winning group La Santa Cecilia formed in 2007 by lead singer Marisol ‘La Marisoul’ Hernandez, accordionist/requinto player Jose ‘Pepe’ Carlos, percussionist Miguel ‘Oso’ Ramirez and bassist Alex Bendaña. The band was awarded the 2014 Grammy for ‘Best Latin Rock’ Album for their Treinta Dias (Universal Music). Named for Cecilia the patron saint of music herself, La Santa Cecilia exemplify the modern-day creative hybrid of Latin culture, rock and world music. The group draws inspiration from their favorite Pan-American rhythms - cumbia, bossa-nova, rumba, bolero, tango, jazz, even klezmer music. Their unique sounds and the experience of their colorful, passionate performances captivate both loyal fans and new listeners. The band has become the voice of a new bicultural generation in the United States, fully immersed in modern music, but always close to their Latin American influences and Mexican heritage. RESPIRA MUSIC VIDEO REACHES 100.000 VIEWS! Mr. Pauer's latest collaboration with Ecuadorian Andipop star, Mirella Cesa has been an explosive and refreshing release that has gain attention from music lovers making the video reach 100.000 views on Youtube in two weeks. The video filmed in Wynwood and directed by Daniel Restrepo, reflects the burst of colors that Mr. Pauer and Mirella Cesa added to this song mixing Pauer's "Electropico" with Cesa's "Andipop". The result is Caribbean meets Andes evoking uplifting lyrics and danceable rhythms. The video is also featured on HTV Hot Ranking with great acceptance from Latin American viewers. Mirella Cesa and Mr. Pauer, who recently released a collaboration under the title “Respira” had a great week of promotion and concerts in New York. They started on July 10th at the BMI Verano Alternativo showcase where they delighted the audience at DROM in Manhattan performing unreleased tracks and with Mr. Pauer on live percussion and Mirella Cesa on the charango. They had very important interviews with People en Español, a live performance at SiriusXM, Spotify, NTN24 and also had time to share with colleagues during the LAMC conference. 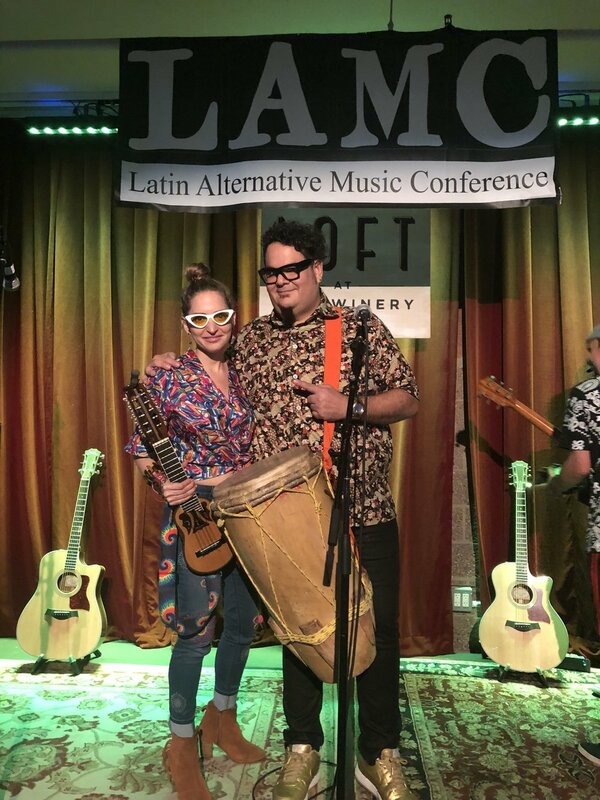 The climax of the week was to be part of the LAMC Acoustic Showcase on July 12th at City Winery, performing alongside artists such as Ana Tijoux, Vega, Floor de Toloache, El B, Ulises Hadjis & DJ Afro. Here they left their mark interpreting two songs of their collaborations in the best acoustic style with a select and intimate audience that danced to the rhythm of “Respira". "I have always been a fan of LAMC and what happens in NYC during that week and without a doubt it is always an honor to be part of this conference contributing in a creative way with the music we bring"
"I am Pleased to live this enriching experience with Mr.Pauer and leave our identity embodied in it"
Venezuelan born Miami based DJ/Producer Mr. Pauer was featured on the world famous radio show DIPLO AND FRIENDS on a world exclusive live broadcast on Saturday June 23rd on BBC Radio1 and BBC Radio1xtra in the United Kingdom with a worldwide streaming on BBC Radio website. The one hour mix features exclusive Mr. Pauer's bootlegs only heard on his live DJ sets, original tracks and different guest artists creating a blend of his Electrópico® signature sound. 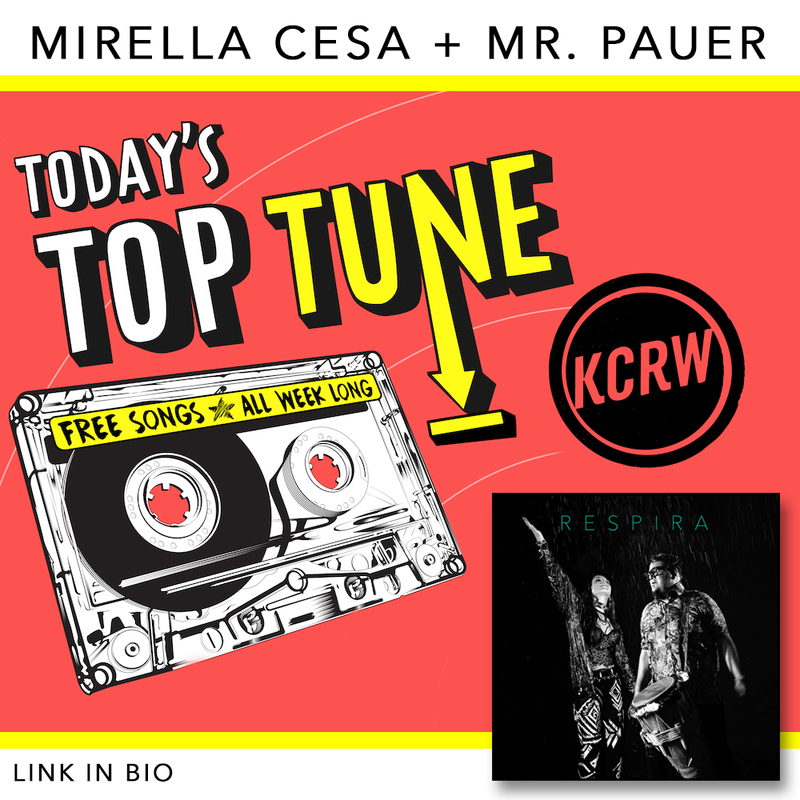 Ecuadorian singer-songwriter Mirella Cesa is best known as the "mother of Andipop" and here, she partners up with Venezuelan DJ Mr. Pauer for “Respira.” Fusing delicate Andean and Afro-Latin rhythms with Charango and indigenous drumming, this track has an enchanting melody. The much talked about single by RedOne, Daddy Yankee, French Montana and Dinah Jane (Fifth Harmony) has gotten Mr. Pauer’s “Electrópico” contagious signature sound. 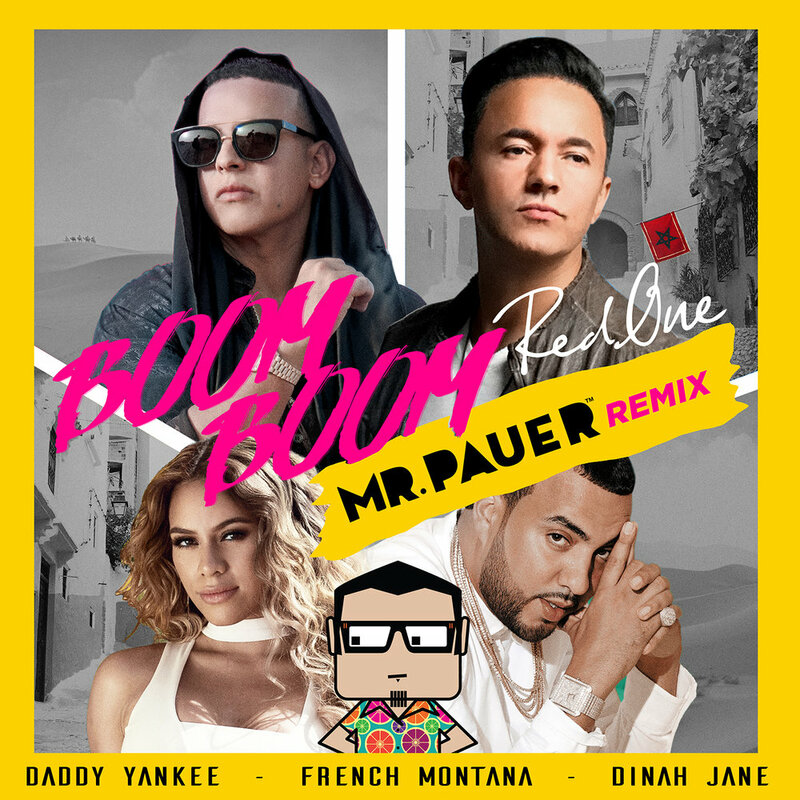 Three-time Grammy® Award-winning producer, songwriter and recording artist RedOne teams up with Latin Grammy® Nominee Mr. Pauer on the official Latin “Boom Boom” remix, which is bound to be a worldwide Latin spiced hit. The international track features Worldwide Puerto Rican Superstar Daddy Yankee, Moroccan mega star French Montana; both bringing their own urban edge and charisma to the song, while Dinah Jane (Fifth Harmony) debuts as a solo act with soaring vocals and sexiness which has all been remixed by Miami based Venezuelan producer Mr. Pauer. Mr. Pauer (Toto González) is a Latin Grammy® Nominated artist and producer from Venezuela, based in Miami, FL. for over two decades. He is considered one of the pioneers in the new sounds of Latin electrónica receiving recognition for his debut album “Soundtrack” earning him a nomination for “Best Alternative Album” in the 12th Annual Latin Grammy® Awards. He is a music connoisseur and researcher of percussive rhythms from around the world. Mr. Pauer is the creator of his signature sound called "Electrópico", a fusion of electronic dance music mixed with music genres originated between the Tropic of Cancer and Tropic of Capricorn like Salsa, Zouk, Reggae, Cumbia, Dancehall, Merengue, Kuduro, etc; creating a unique sound born in Miami. Multiple GRAMMY®-winning producer, musician and songwriter, RedOne, has become one of the most successful and sought after record producers and songwriters in the world. His work includes more than 70 international hit singles, including 40+ (and counting) #1 singles. RedOne’s frequent collaborators include Nicki Minaj, Lady Gaga, Jennifer Lopez, Usher, Marc Anthony, Quincy Jones, Enrique Iglesias, Nicole Scherzinger, Mary J Blige, Cheb Khaled, Maylene Farmer, One Direction, and many more. 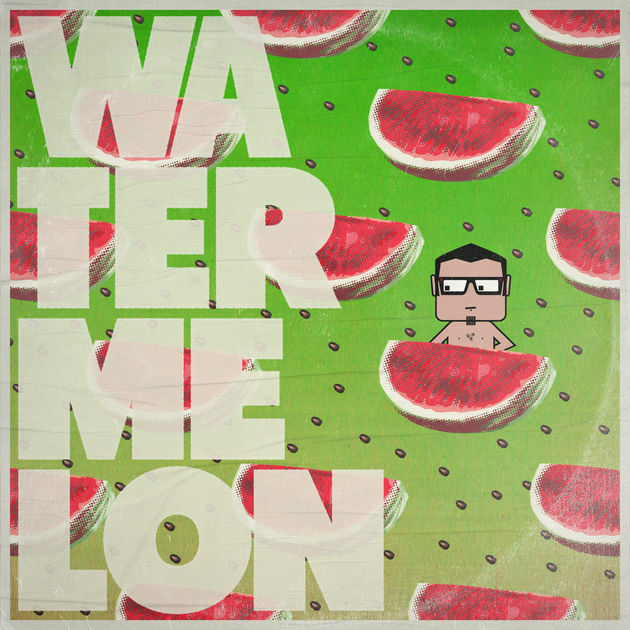 Mr. Pauer, one of the most celebrated and danced Latin Electronica acts, released a 3 songs EP titled “Watermelon” available worldwide in all digital platforms. This is a collection of songs in his signature sound of “Electrópico” with a deep approach of synthesizers and bass creating a perfect instrumental experience. “Watermelon” is the first of a series of fruit EPs that I will be releasing in the following months. These are very special tracks for me since many of them were created before the “Orange” album and have carved my sound to what I am today. My essence as an artist is in the instrumental work where I deeply connect with sounds to tell a story into a deep bass combined with Latin American instrumentation that sympathize with Cumbia, Zouk, Compass and Dancehall.